« What Are You Trying To Tell Me? And while I`m on the subject, the toilets in Japan are a joy. They take comfort and function to new levels. 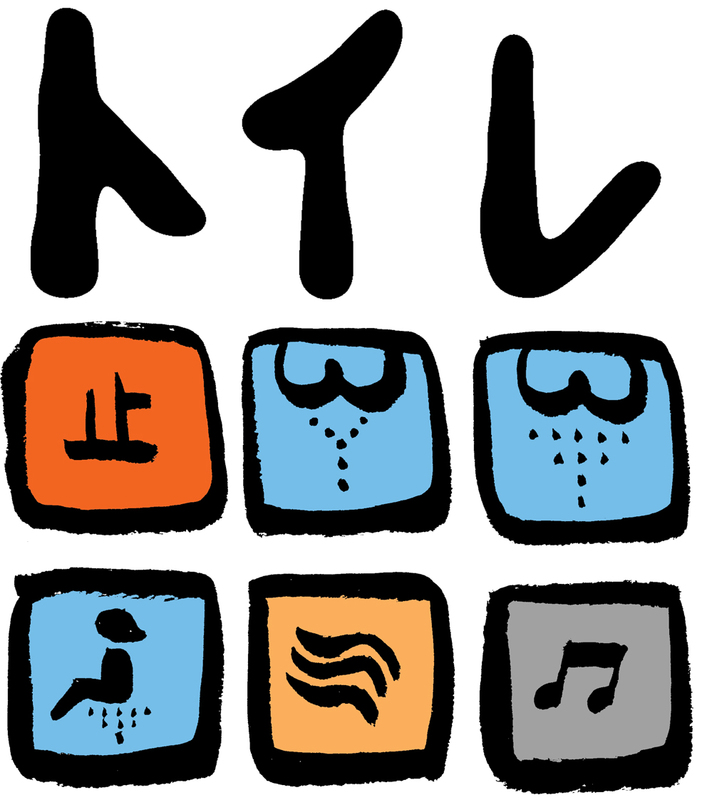 The characters at the top are in the Hiragana script, and mean (I hope): TOILET, or similar. These aren`t just rich people’s toilets – they are very often public lavatories too. The symbols above are on buttons attached to the facilities – well, I think they probably give a fair idea of their function. The wavy lines button indicates the dryer. The music button actually generates a flushing sound to cover any bodily noises, but seems to be found only in the Ladies. The seat is, of course, always warm to the touch, and there is sometimes an automatically-dispensed and not unpleasing aroma. The orange button means STOP (whatever’s happening at the time). I mistakenly pressed the FLUSH button (not shown here) instead of STOP, at one point. I’ve learnt, though. Ah – I have used a Japanese toilet! A friend of mine was so enamoured with them that he brought one back all the way from Japan, and installed it in his house in Keere Street. Amazing!